In the beginning, the city was without form and void. Then the streets became a gallery, the gaps filled up with art and life: Over 21 days we will create an exhibition about Street Art which will develop along with the city itself. 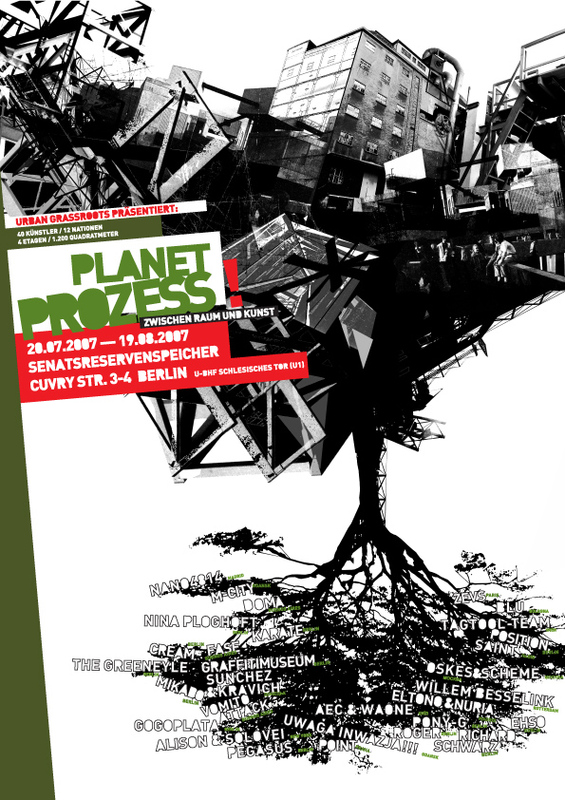 PLANET PROZESS invites everybody to take part in this dynamic exhibition and to celebrate the finale. Street Art is not static. The natural living space of street art is not the gallery but public urban space! 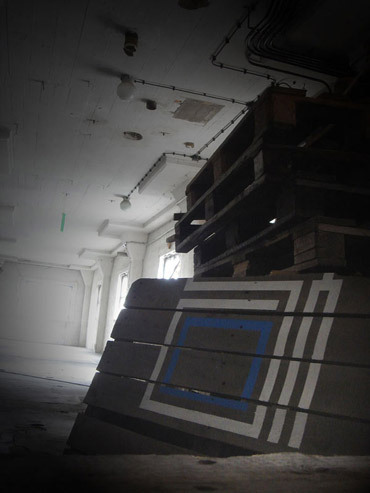 The project “Planet Prozess” will be a beacon for Street Art. It aims to create a dialogue to facilitate the understanding of this manifold form of expression. The participating artists place a special emphasis on the conjunction of internal and external space. The exibition will be a dynamic process whereby the Artists develop their work over the three weeks. 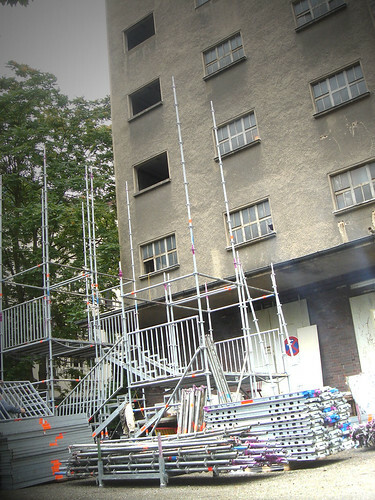 For one month the former Senatsreservenspeicher, situated at the Spree, will become the nerve center connecting all artistic processes. “Planet Prozess” invites the public to join the creation-process every day of the exhibition; to meet the artists and to discover the variety of urban creation and communication. Participating and observing, the public can experience the diversity of street writing, graffiti or other forms of urban expression. After 21 days the creative process comes to an end. We are going to celebrate the results with a Block Party and a second Opening. The works will be on show for another ten days. The internationally renowned artists, from train-writer to fine artist, reflect their national and cultural context in their work. In their hometowns as well as on the international stage, the participating artists belong to the urban repertoire. They set themselves apart through their authentic and innovative work, beyond the realm of high-gloss magazines. The artists have many different approaches and work in the spectrum between commercial work and purely artistic pieces. Their techniques vary from cut-outs to installations, from projections to performances and from pencil drawings to canvases. Last edited by just on July 15th, 2007, 11:33 pm, edited 1 time in total. 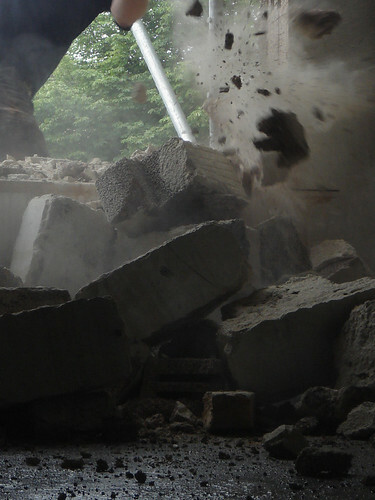 ..smashing el tono´s & nuria´s favela[eko link] for rebuilding something new!! Last edited by just on July 27th, 2007, 4:53 pm, edited 3 times in total. nina ploghoeft building up her blackbox & uwaga-inwazja cutting stencils for his invasion! ..the set-up from (cw) the graffitimuseum - CREAM - and gogoplata. ..there the favela went. "ut-crew" building up their space. alison & solovei drawing and cutting for their project at planet prozess! blu and jr still working... pictures taken in the early morning. wow great collaboration between Jr & Blu. Thanks for the pictures, once again ! Last edited by just on July 21st, 2007, 1:01 pm, edited 1 time in total. cream, point and willem besselink!! THE EXHIBITION WILL START TODAY(20.7) AT 18:00. 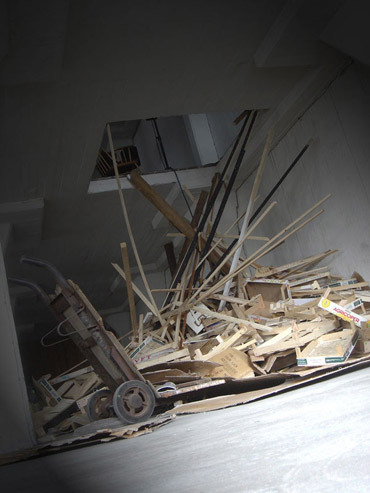 40 artist will exhibit on 1.200qm on 4 floors inside the old "senatsreservespeicher" in berlin-kreuzberg..
the exhibition should be non-static and shall be understood as a process wich takes place in the inside as well as the outside. everyone is invited to join the process; "to meet the artists and to discover the variety of urban creation and communication. Participating and observing, the public can experience the diversity of street writing, graffiti or other forms of urban expression". the process will last for 3 weeks - during this time the process will grow until at the 11.8.07 the conclusion will find a vernissage. then the exhibition will remain till the 19th of august. all artists developed different concepts for combining their work in the inside-rooms and the outside-city. Last edited by just on July 27th, 2007, 4:54 pm, edited 1 time in total. Last edited by just on July 27th, 2007, 4:56 pm, edited 1 time in total.